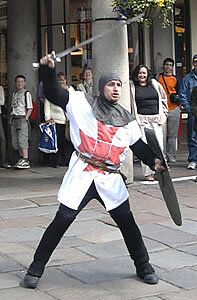 St George's Day is on 23 April each year. 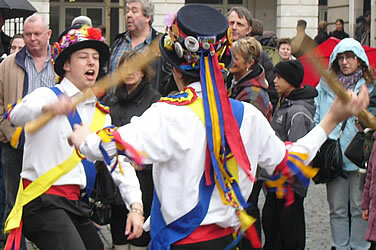 Public celebrations are usually on the nearest weekend. 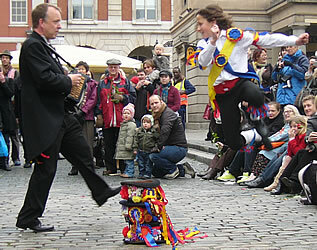 The photos below were taken at the Festival for St George in Covent Garden, organised by the Royal Society of St George. 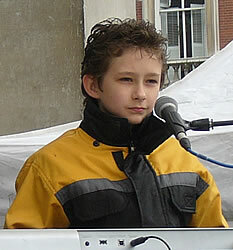 Most of the pictures were taken at the 2008 event (a few at the bottom are from 2004). 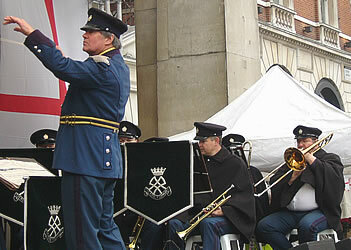 This event has not taken place since 2008. 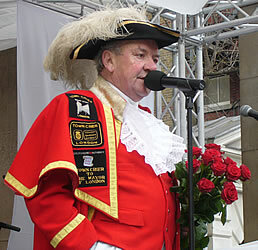 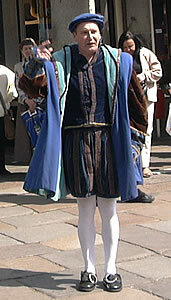 The Town Crier Peter Moore opened the 2008 Festival for St George and introduced the entertainment. 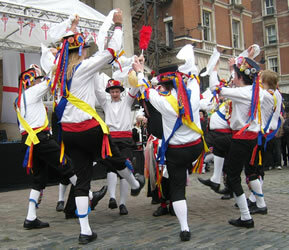 The Moulton Morris Men demonstrated various styles of traditional English Morris dancing. 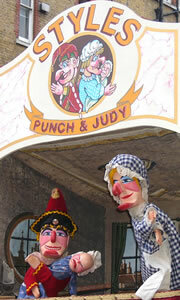 Robert Styles performed a Punch and Judy show. 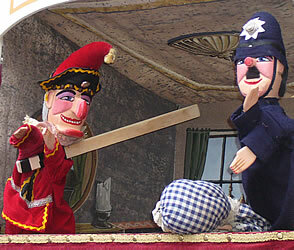 This is a traditional form of entertainment that is still always popular with children. 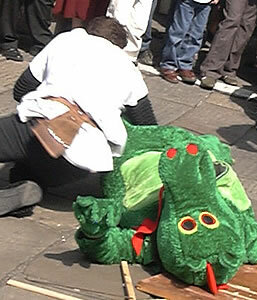 Watch out for the crocodile. 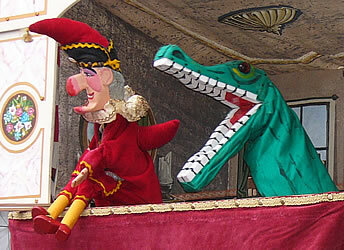 It's behind you! 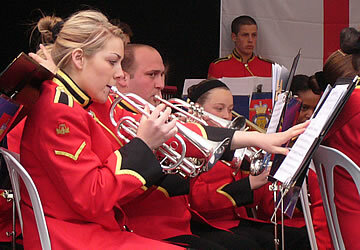 There is always a wide range of musical entertainment. 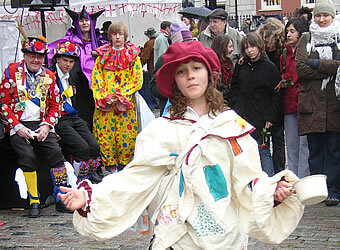 The performers below all appeared in the 2008 festival. 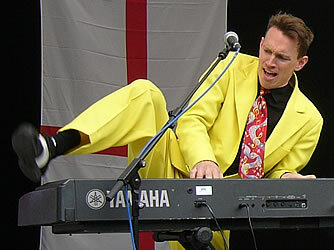 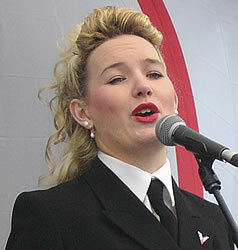 The 2008 event included performaces from a street entertainer. 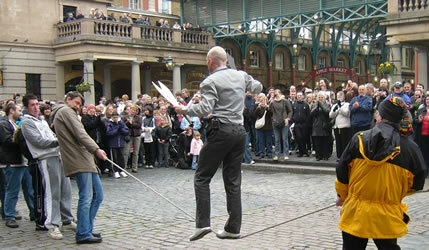 This kind of entertainment is popular around Covent Garden. 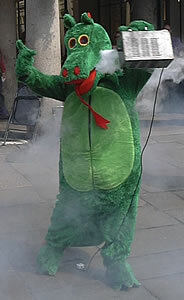 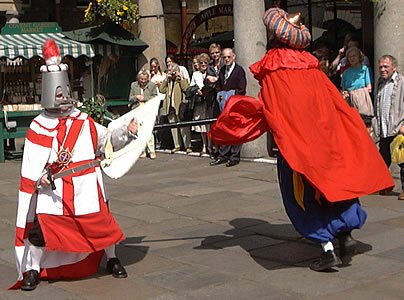 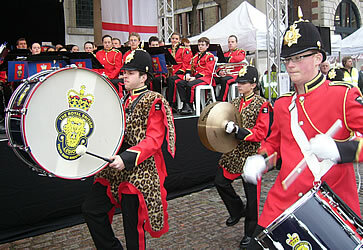 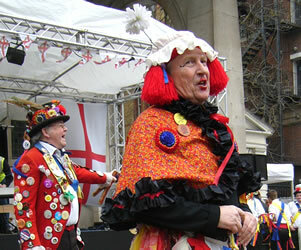 It is traditional for these St George's Day celebrations to include a Mummer's play called "The Play of Saint George". 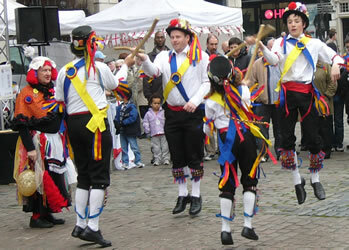 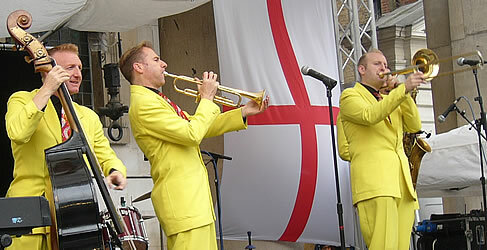 The photos below show Moulton Morris Men performing in 2004. 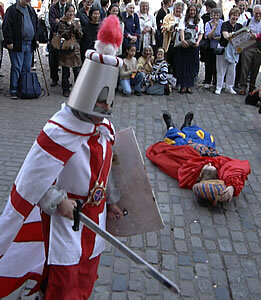 The 2004 festival also included a special re-enactment of the legendary fight between Saint George and the dragon. 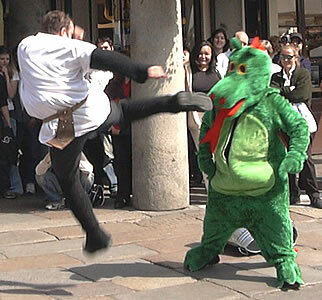 This fight had special rules, however - the dragon couldn't use its fire, and St George wasn't allowed to use his sword!